Mr. Cashback online slot should please most fans of gambling. The slot's design looks bright and attractive, lively music is fully appropriate for the game's theme. 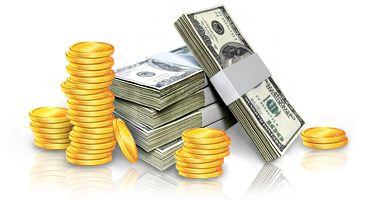 With Mr. Cashback slot players will try to find himself in the world of finance. And even though you're still far from becoming a tycoon, the first step has been made. Mr Cashback draws your attention not only due to colorful graphics and sound effects – the most important is the new option. Game developers were definitely at their best – this games has everything you may wish to see. There are 5 reels and 15 paylines. The wild symbol is an image of a businessman with a cigar – Mr Cashback. It substitutes for any symbol, except scatter, and a combination of 5 of them will get you the biggest reward – 7500 coins. The scatter symbol is Mr Cashback logo – 3 or more symbols of it on the screen reward you different sums, free spins and trigger 12 free games with x2 multiplier. There's also a risk-game for those who want to continue pushing their luck instead of collecting their current win. The developers didn't make anything special – a standard “guess correctly” whether it is a red or black card. This mini-game is triggered by pushing the button “Gamble” which rests adjacent to the “Spin” button so you can try anytime but unfortunately you can't double your wins endlessly, there's a limit. A slot of the future? The name of Mr Cashback online slot speaks for itself. In this game gamblers can return their lost money. If one of active paylines doesn't win you anything during the last 50 spins, you get all the money you've bet by this time. Besides, there are no limits about the lines – even if you've been betting the same line for 49 times and then turned to some other one, all data will be saved in the system so when turn back to the first line and make the 50th spin without a win, you definitely get the lost money. This feature is very unique and we must admit that this online slot has become a real hit and it simply can't be compared to with other Playtech slots. The ost devoted fans are sure that such slots will be the games of the future – these are the miracles that an integration of a single new option can do.